Good news for the Shooting Star Rockman/Mega Man Star Force fans out there: a brand-new soundtrack compilation is headed your way. 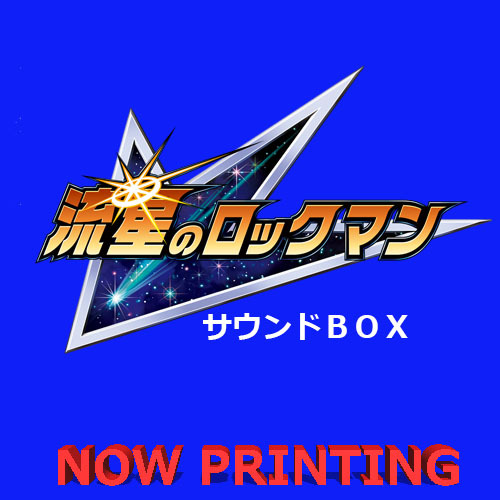 Today, Capcom announced Shooting Star Rockman Sound Box; a 3-disc set that includes all the music from Shooting Star Rockman 1, SSR2 and – for the very first time on CD – all of SSR3. About time, right? The box set also includes brand-new cover art and a booklet containing composer commentary and notes. It will release in Japan on July 4th for 3,800 yen (about $36.21 US). And yeah; that's about it. I'll keep you updated on details as they come out. I'm really looking forward to finally owning SSR3's score officially. It's definitely my favorite of the trilogy! i"m getting that as soon as it come out. When I downloaded the soundtrack I thought it was odd none of the songs had official names. Glad to hear it's getting an official release. Great! I love the music from this series, of my favorite if not my favorite. It's been so long since I last played this, I don't remember it. I'll probably still get it though. Why not? F-F-F-Finally. And wow thats a lovely Cover. Now, while we are at it: How many souls does it take to get that Anime Soundtrack aswell ?